A new report says climate change is a public health crisis needing behaviour change similar to smoking, drink driving or HIV/AIDS. Efforts to change public behaviour to address climate change must learn from the great campaigns of previous decades on smoking, drink driving and the spread of HIV/AIDS, according to a new report. The report, Climate and Rapid Behaviour Change: what do we know so far? reviews lessons from initiatives and campaigns for public health, disaster awareness and equality. It is the first publication of the Rapid Transition Alliance, a global initiative set to launch later in 2018 which aims to learn from past and current rapid changes to help achieve climate action at the speed and scale demanded by the science of global warming and the internationally agreed targets to halt it. The report points to recent cultural shifts in diet and single-use plastics, sexism and attitudes to gender and identity as examples of accelerating change in society and culture, aided by the speed of new communication technologies and social media in spreading ideas. 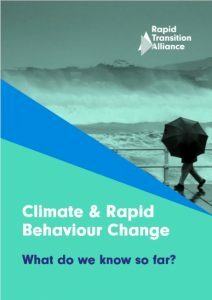 The Rapid Transition Alliance report finds that measures focused on behaviour change have been marginalised in the mix of policies considered for tackling climate change. Past examples show that people are capable of changing even the most ingrained and addictive behaviours, according to the report. Previous campaigns have succeeded especially when accompanied by transformations in finance, infrastructure and culture. But the report’s authors warn that such changes are not simple to achieve. For example, the effort to cut smoking in the UK took a variety of interventions, including legislation on age limits, workplace smoking, public awareness campaigns, taxation and public information campaigns, support services and advertising. Climate now and into the future is set to be among our greatest public health challenges. 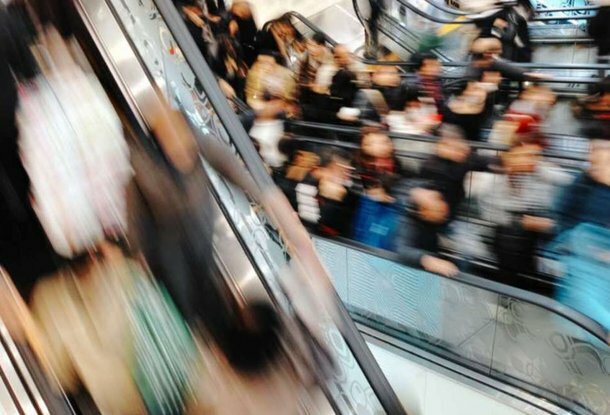 We now know more than ever about how to create the conditions for rapid behaviour change. The Rapid Transition Alliance will be launched later in 2018 and is being coordinated by the New Weather Institute, the STEPS Centre at the Institute of Development Studies, and the School of Global Studies at the University of Sussex. ← Vorarlberg… Reasons to be cheerful.